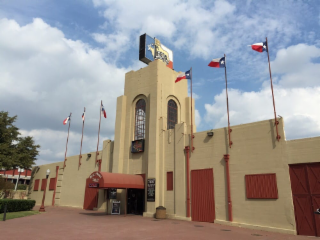 Billy Bob's Texas is a popular destination for tours, conventions, trade shows, groups, and parties, accommodating up to 6,000 fun-loving folks. The nightly entertainment and unique western decor complete with photos and handprints of country stars. Billy Bob's Texas has something for everyone of every age, seven days a week. Top name entertainers perform every Friday and Saturday night, along with regional house bands playing throughout the week. We feature live professional bull riding on Friday and Saturday nights as well; a casino arcade, pool tables, high tech video games, and complete catering services.